The powertrain combines a 48V system with a diesel engine. The first mild hybrid diesel will be the Kia Sportage compact SUV, and then in 2019, in the Kia cee’d. 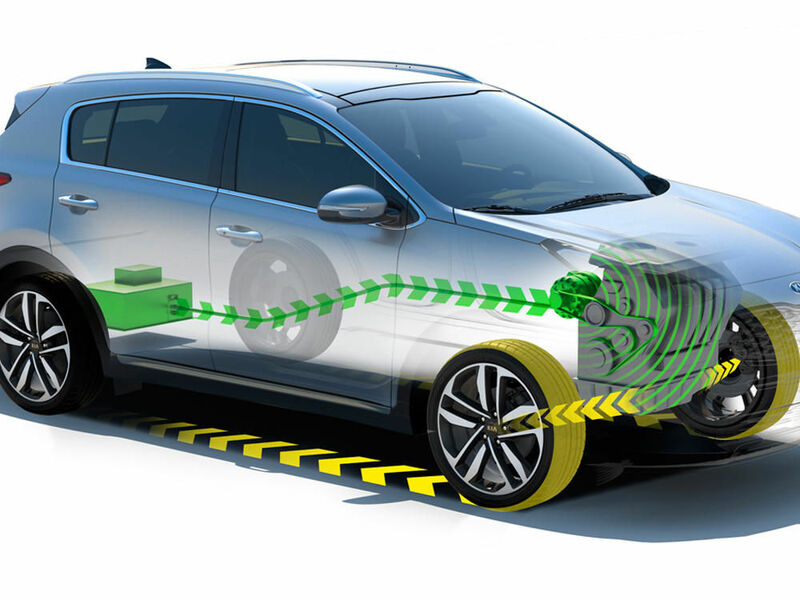 The 48V system of the Kia mild hybrid powertrain consists of a belt-integrated starter generator, a DC/DC converter for connecting the 48 and 12V systems, and a lithium-ion battery. This has a capacity of 0.46 kWh. Kia state that, in the new WLTP (Worldwide harmonized Light vehicles Test Procedure), the 48V system emits up to 4% less CO2. The starter generator can produce up to 10kW of power, and provides additional torque during acceleration, taking some of the load off the diesel engine. In regeneration mode, energy is saved while braking, driving downhill and coasting. Kia is able to combine the mild hybrid system with both manual and automatic gearboxes, and with front, rear and all-wheel drive. In future, Kia state that 48V systemswill also be available with petrol engines. YASA P400 series electric motors and generators are small and light, capable of delivering up to 370 N·m of torque and 160 kW of power from an axial length of 80.4 mm. Motor developments for electric vehicles (EVs) often are shaded by the emphasis placed on battery capability. But the enduring need to deliver improved packaging, power, torque and range from EVs brings significant opportunity for new approaches to motor design and production. 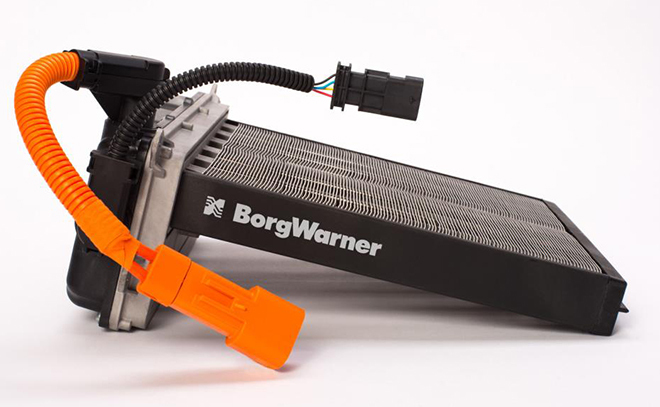 BorgWarner has announced that it will supply its high-voltage positive temperature coefficient (PTC) cabin heating technology for an unspecified new EV model from a global automaker. BorgWarner’s technology is designed to provide rapid cabin heating while making the most efficient possible use of energy in order to conserve battery power. Unlike legacy vehicles, EVs don’t generate a significant source of waste heat that can be used to heat the cabin. BorgWarner’s high-voltage cabin heater relies on ceramic PTC components to warm the air stream coming from the blower. It self-regulates to ensure that high-power heating is available in cold temperatures, when it is needed most. As temperatures rise and heating demand decreases, the energy level is automatically reduced. The heater offers up to 7 kW of power, provides dual-zone functionality for increased efficiency, and boasts nearly silent operation. Bosch’s new 48-volt battery for hybrids is in demand by automakers across the globe. 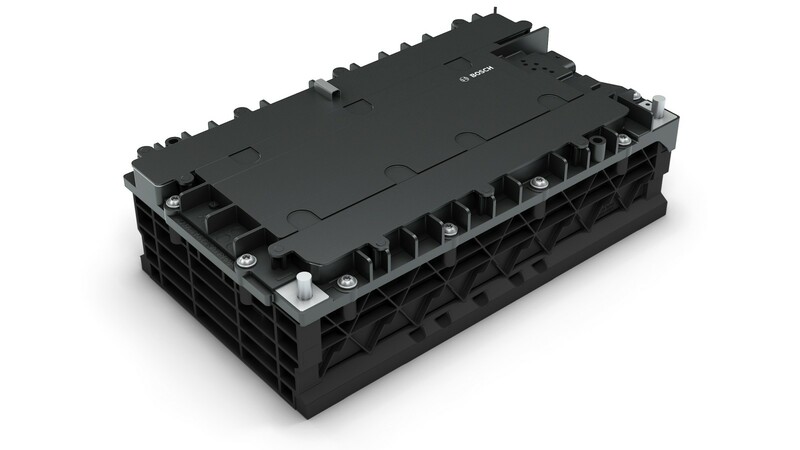 Similar to the Bosch e-axle, this innovative 48-volt battery is standardized for easy integration into new vehicle models. Established manufacturers and start-ups alike can thus eliminate long and expensive development processes. “Bosch is an incubator of electromobility. We help manufacturers reduce their development times and launch their products faster,” says Dr. Rolf Bulander, chairman of the Bosch Mobility Solutions business sector and member of the board of management of Robert Bosch GmbH. This means that installation of the lithium-ion battery will benefit not only compact cars, but mini- and microcars as well. 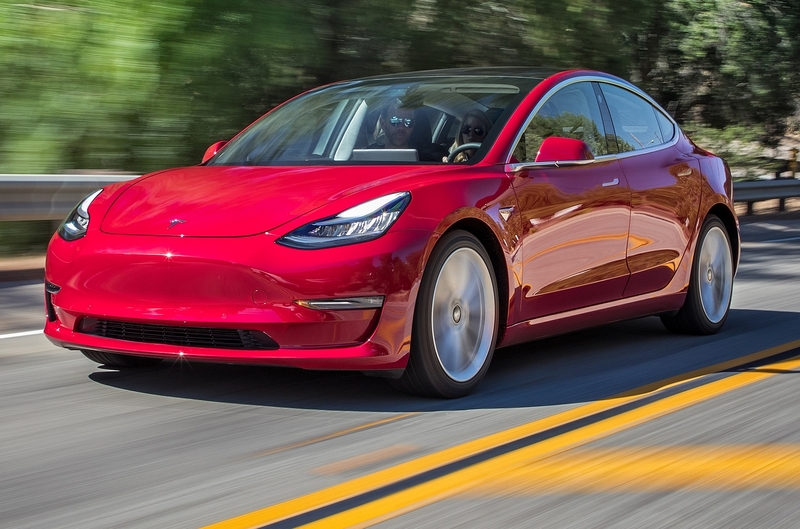 Production of the battery is scheduled to start in late 2018. Anticipating a large market for entry-level hybrids, Bosch offers other powertrain components for these models in addition to the 48-volt battery. The company estimates that some 15 million 48-volt hybrid vehicles will be on the road by 2025. Automakers everywhere – whether in China, Europe, or North America – are all striving to cut CO2 emissions, which in practice means reducing cars’ fuel consumption. Bosch has systematically designed its new 48-volt battery to do precisely that. For instance, the lithium-ion cells Bosch uses are as compact as possible while still achieving a reduction in CO2. The 48-volt battery is in high demand, particularly among Chinese manufacturers, and the lithium-ion unit is poised to become a global success. Bosch is already in talks with over a dozen customers and has secured a considerable number of production projects. The secret of the battery’s success is its sophisticated concept, which offers a comparatively inexpensive way to help reduce vehicle CO2 emissions. This is also due to the product design, as the battery requires no active cooling and its housing is made of plastic, not metal. Both these factors bring costs down still further. The plastic housing presents a real challenge, as lithium-ion cells expand when the battery is charging and over the course of the unit’s service life. As a result, the housing must withstand a certain amount of stress. Bosch engineers rearranged the cells in the 48-volt battery so that even plastic housing can bear the pressure. With its new battery, Bosch is playing a key role in making the 48-volt hybrid affordable for the mass market. Wireless electric car charging testing using a Renault Kangoo Z.E. It’s long been an inspiring futuristic concept: electric cars that can recharge continuously at speed, driving along roadways with built-in inductive charging. Think a modern-day version of slot cars, but at 1:1 scale. Now French automaker Renault has demonstrated a prototype of just such a system, briefly recharging one of its electric cars at 60 miles per hour. 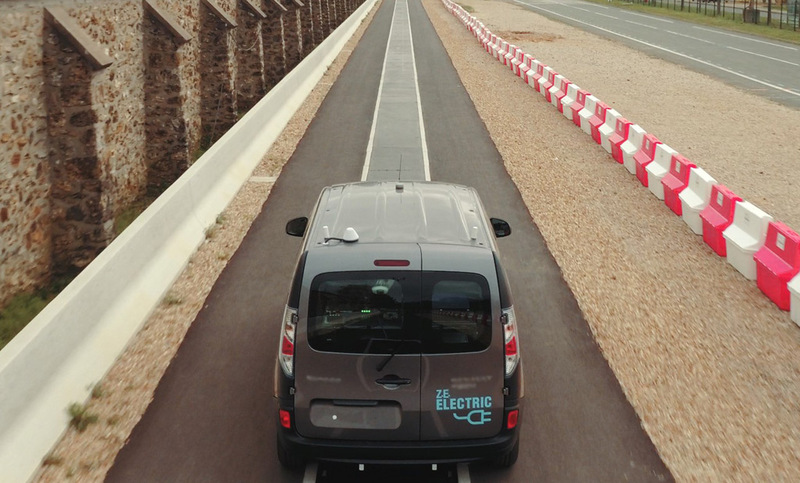 The French automaker that builds more electric cars than any other European maker partnered with electronics company Qualcomm to develop what it calls a “dynamic wireless electric-vehicle charging” system. The prototype demonstrated last week allowed charging at up to 20 kilowatts at speeds up to 100 km/h (62 mph) and higher. The demonstration cars were a pair of Renault Kangoo ZE electric small delivery vans, shown on a test track in Versailles, near Paris. Qualcomm and a French firm, Vedecom, installed the charging equipment in the test track. Renault, meanwhile, modified its electric vans with the system that permitted wireless charging. Among the communications between vehicle and track are those that identify the vehicle and authorize it to begin charging, negotiate over the level of power to be provided, and keep the vehicle aligned on the charging strip at an appropriate speed. The test is part of a 9-million-euro project known as Fabric, partly funded by the European Union, to evaluate the technology feasibility, business models, and sustainability of wireless on-road charging. Fabric began in January 2014, and will continue through the end of this year; it’s made up of 25 partners from nine European countries.